Around the late afternoon hours on Wednesday, National Basketball Association commissioner David Stern announced through a press release that Washington Wizards' guard Gilbert Arenas would be suspended indefinitely, without pay, for his actions following the news of gun possession in the Verizon Center. Both federal and local law enforcement authorities are investigating the incident that allegedly took place inside the Wizards locker room between Arenas and Javaris Crittenton. 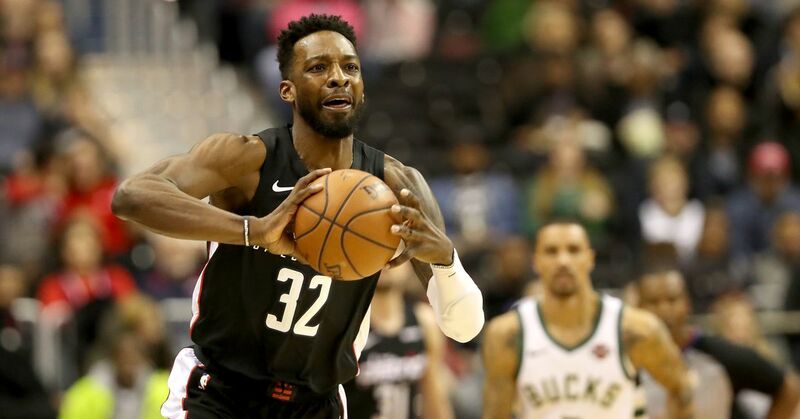 Reports state that following a dispute over a gambling debt, Arenas jokingly put three of his guns in Crittenton's locker with a note that read, "Pick one." Initially, the news was that Crittenton responded by saying something along the lines of having his own gun and not needing one from Arenas. Arenas tried to play down the incident over the past several days, resorting to Twitter and postgame interviews. He spoke with prosecutors on Monday, giving them his version of the story, emphasizing that it was merely a joke gone too far. However, it seems that the episode in the locker room was anything but a joke. Mike Wise of the Washington Post has reported that anonymous sources from within the Wizards' locker room have stated Javaris Crittenton drew a loaded gun - bullet in the chamber. This is significant, as up to this point, the talk of the confrontation had been of unloaded guns. Apparently that is not the case. Arenas is said to have also admitted this to prosecutors after initially telling Crittenton that he would take full responsibility for the incident and try to keep Crittenton from getting into trouble with the law or the league. Details are still to come, but it seems that this is a much more serious case than what many, including Arenas, had originally anticipated. As far as the suspension is concerned, it is important to draw distinction between the penalty for bringing the guns into the locker room and for Arenas' actions following the news of the investigation. Stern had said that he would wait for the authorities to draw their conclusion prior to handing down an suspension. 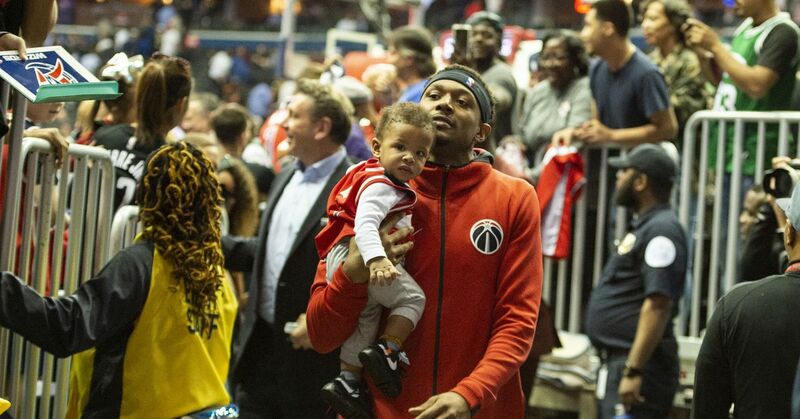 Instead, he was said to be livid after photos circulated on the internet of Arenas pretending to be firing guns with his fingers in the Wizards' pregame warm-ups Tuesday night in Philadelphia. "Although it is clear that the actions of Mr. Arenas will ultimately result in a substantial suspension, and perhaps worse, his ongoing conduct has led me to conclude that he is not currently fit to take the court in an NBA game. Accordingly, I am suspending Mr. Arenas indefinitely, without pay, effective immediately pending the completion of the investigation by the NBA." The indefinite suspension could spell more trouble for Arenas, because even if he is cleared by authorities of any felony charges, he will likely face a separate suspension for the gun violation. In essence, he is being suspended (indefinitely) for his lack of remorse, and will be suspended additionally for the actual breach of rules. If he is not charged with a felony, the battle will be more of an uphill climb as the NBA Player's Association will likely file a grievance. Both scenarios will be assessed down the road as more details are released and the authorities decide whether or not to charge Arenas. In fairness to Arenas, and in light of the breaking news of Crittenton's loaded gun, Stern should also suspend Crittenton indefinitely. While he may have not have made the same statements on Twitter or shown a similar lack of judgment in pregame warm-ups, his alleged actions are far worse. To say that Arenas is "not currently fit" to play the game while allowing Crittenton to continue would be sending the wrong message and would lack the fundamentals of a no tolerance punishment. It is an unfortunate day for Washington fans as the news of Arenas' suspension overshadowed the Redskins hiring of head coach Mike Shanahan. Perhaps the most troubling aspect of this entire saga that is unfolding is the fact that Arenas could have avoided the suspension, at least temporarily, had he taken a more serious, apologetic approach rather than tempting the commissioner to call his bluff. With the star guard likely out for the season, it looks to be another long winter for Washingtonians.